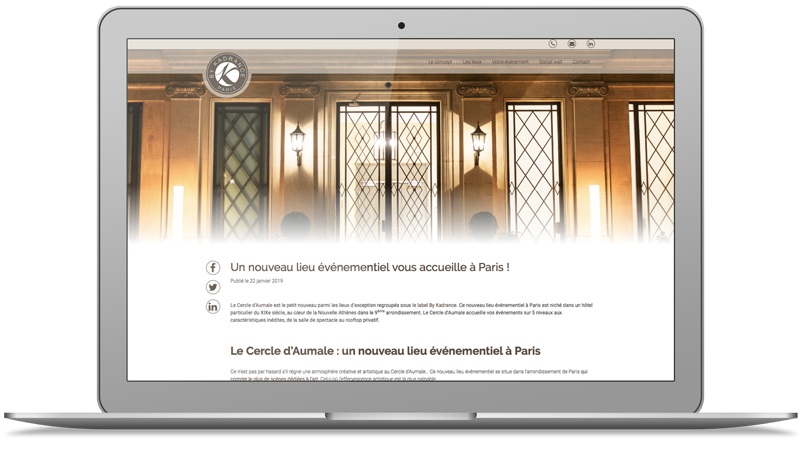 By Kadrance is a label composed of several exceptional Parisian venues, dedicated to professional events (seminars, corporate events, showrooms …). 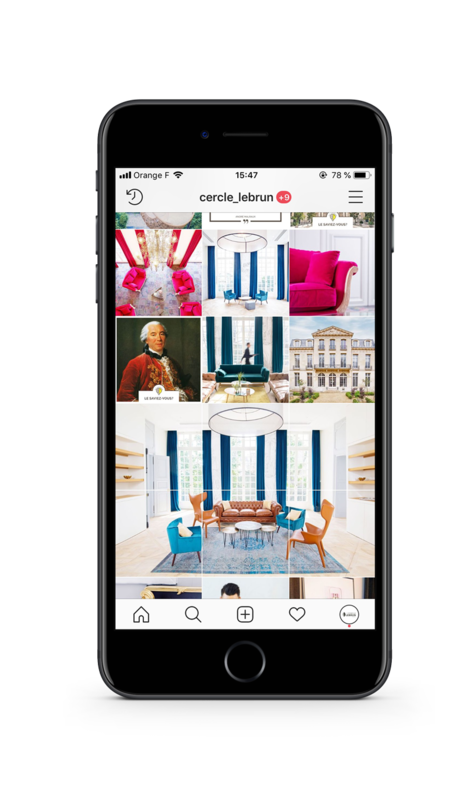 By Kadrance asked Wink Stratégies to help with its various online communications, to highlight its venues as well as the associated services. The redesign of By Kadrance’s website was initially a visibility requirement, so it was necessary to create a new website optimized for natural referencing. 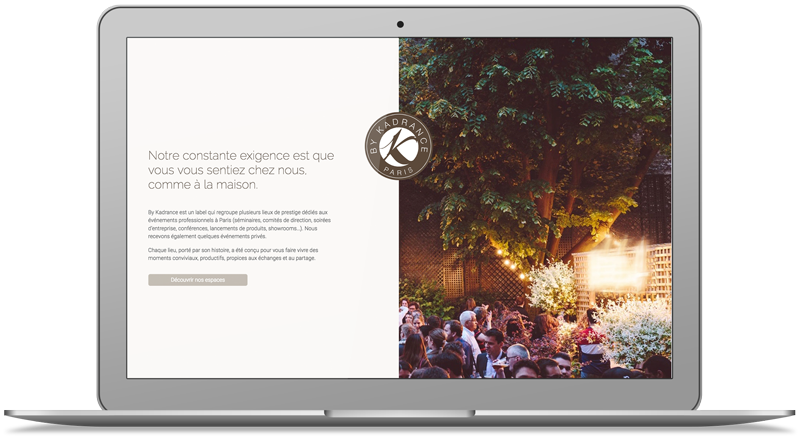 It was also important to highlight these exceptional venues in the heart of Paris, while opting for a sleek and elegant design, in cohesion with the values of the brand to allow the web user to enter the world of By Kadrance’s venues. The agency took care of the entire project: content writing, web design, development, online publishing and training to use the site. – Creating posts and short animation videos. – Animation of the Facebook and Instagram pages of the four venues. – Creation of publication schedules and monthly performance reports. In the continuity of the SEO strategy set up to improve the natural referencing of the website, the agency took in charge the production of optimized SEO articles about the various news of the sector of professional events, with the aim of increasing traffic on the website. A newsletter is also sent regularly in order to create traffic on the website and to keep those interested in the news of the venues of By Kadrance informed.